The best team in the world finished the second day with two more victories. OpTic Gaming led the Green Group heading into Saturday after picking up two 3-1 victories on Friday. The Green Wall was able to ride that momentum into the second day as they defeated two European squads in Elevate and Red Reserve to improve to 4-0 in the Call of Duty World League Global Pro League. Elevate gave the CWL Dallas Open champions a run for their money, though. The Brits pushed OpTic to their limit in the short three-map series. OpTic took the first map 250-213 behind a strong 28-kill performance by Matthew “FormaL” Piper. Elevate’s best chance to take a map off of the top team in the world was in Search and Destroy—undoubtedly OpTic’s weakest game mode. But, OpTic took Crusher Search and Destroy in the 11th round, and proceeded to finish off the sweep on Precinct Uplink with a 4-3 victory. Next up on OpTic’s hit list was Red Reserve. Falling to the Green Wall on the first day, Red looked to rebound with a win of their own. OpTic started the series off strong with a 250-206 win on Throwback Hardpoint. Seth “Scump” Abner undoubtedly was the player of the game after dropping a game-high 40 kills. Red Reserve kept their composure and took the second map, just as they did in their prior meeting with OpTic. Seemingly unfazed by the map loss, OpTic fired back with convincing wins in the final two maps of the series. Scump led the way for the Green Wall in Uplink, while Ian “Crimsix” Porter and FormaL caught fire on Breakout Hardpoint. Not having to face the best team on the second day, Enigma6 ran through their competition in similar fashion to OpTic. The Americans swept Red Reserve in the opening match on Saturday and finished their day off with a convincing 3-1 win over Elevate. With a 0-4 record, Elevate is officially out of contention to get a CWL Global Pro League playoff spot. They can, however, qualify for the second season of the CWL GPL with a good performance on Sunday. 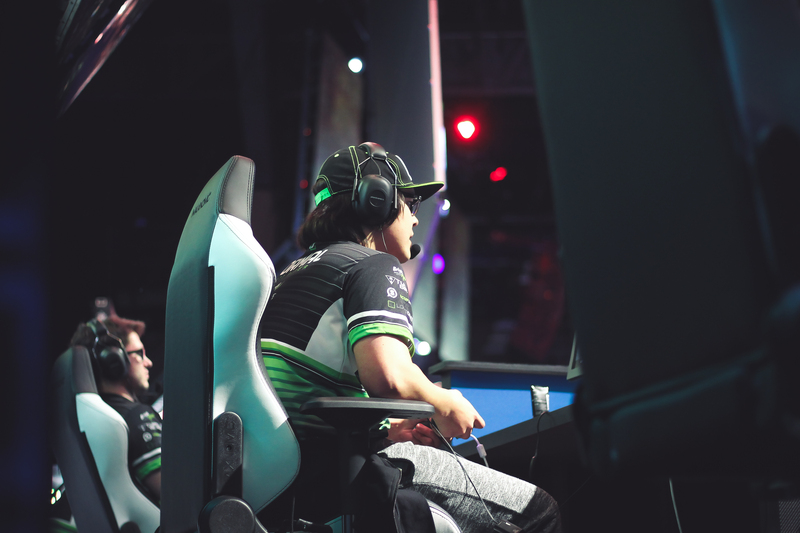 OpTic has already clinched a playoff spot due to their 4-0 record, but they’ll have to come out strong in the final day to ensure a first place finish. E6 and Red Reserve round out the rest of the group, with E6 sitting in second at 3-1 and Red in third at 1-3. The final day of Green Group’s matches will kick off when OpTic Gaming takes on Elevate at 2pm ET on Sunday.